Radio 8 is local private station which is locate in Ansbach, Bayern, Germany and it was founded in 1988.It basically plays light music (usually oldies) and provides information about local events.There are over 50,000 listeners of this station mostly who are over 25 years old.It can be heard via the Internet as a live stream. Legal Musik is a community German station which is located in Nuremberg.Here you can listen all time 24/7 Hrs high quality transmission.I hope you should like this station.Its mission is to connecting community together and provide best entertaining programs. Antenne Bayern is a private station webradio which is based in Munich, Bavaria , The company basically operates under the official designation Antenne Bayern GmbH & Co. KG.This is very popular station on which you can listen variety of programs formats live music , entertainment programs , information and service.Mostly you can enjoy hits of 80s and 90s.Its genres are Adult Contemporary & Adult Rock.Its headquarter is located in Dillberg, Bayern, Germany. Afk Max is a best online station for education and training in Nuremberg. 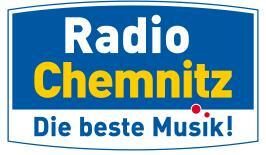 Education and Training programs of this station are popular in Nuremberg.It is on-air on frequency 106.2 MHz. 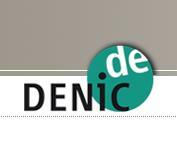 You can enjoy 24/7 hrs live programs that offers a range of music magazines and special interest programs and editorial texts.Its Genres is News (National and International) located in Nürnberg, Bayern, Germany. RSA Sachsen 106.5 is actually Hits and Oldies genres station which is playing your favorite hit music.It offers many variety of programs and it is the only station in Germany which is adorned with a protagonist in the station name.It also covers variety of music programs also regional news and sports coverage.Its genres is Euro Hits & Oldies and its station is located in Bautzen, Germany. 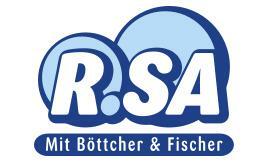 PSR FM genres is Adult Contemporary & Schlager broadcast.This is as the first private operator for a broadcasting license by the Saxon State Media Institute (SLM).Now the station moved from its first quarter in the Delitzscher street.There are over 258 000 people who are the listeners of this station. 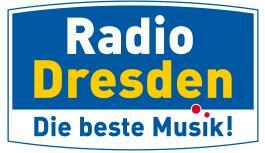 Welcome to Radio Dresden which is a private station broadcasting from Dresden live.It started broadcasting on 9th May 1993.It is on genres Top 40-Pop & Adult Contemporary located in Dresden, Sachsen, Germany.For advertising purpose this is best to advertise yore business in surroundings. Chemnitz is actually a private local station which started its services from 23 May 1993.You can listen local news as well as afternoon show with Karsten Kollisk.Enjoy best music contains mostly music from the 1980Its genres is Adult Contemporary , Its headquarter is located in Chemnitz, Sachsen, Germany. Apollo is a pleasant mix of music from Jazz and other classic and its music is a combination and mixture of editorial content and presentation designed.I hope you should like this station which is popular in German community.It is on air on frequency 91.5 FM. Jade radio is a local FM station is one of 15 non-commercial association in Germany.Its studio is studio is located in the city of Wilhelmshaven.This is a free station its mean advertising and sponsorship in the program are not permissible.Its genres are Top 40-Pop, 80′s and headquarter is located in Wilhelmshaven, Niedersachsen, Germany.You can visit the official website for more information.